Perfect location and beautiful apartment. Even some chocs and prosecco waiting for us on arrival, thank you! Loved the garden that backs onto the park, perfect for lovely dog walks. It's even nicer than the pictures, we were so pleased with our stay we want to come back soon! Very practical for dogs. Austen was helpful and friendly. Great location. 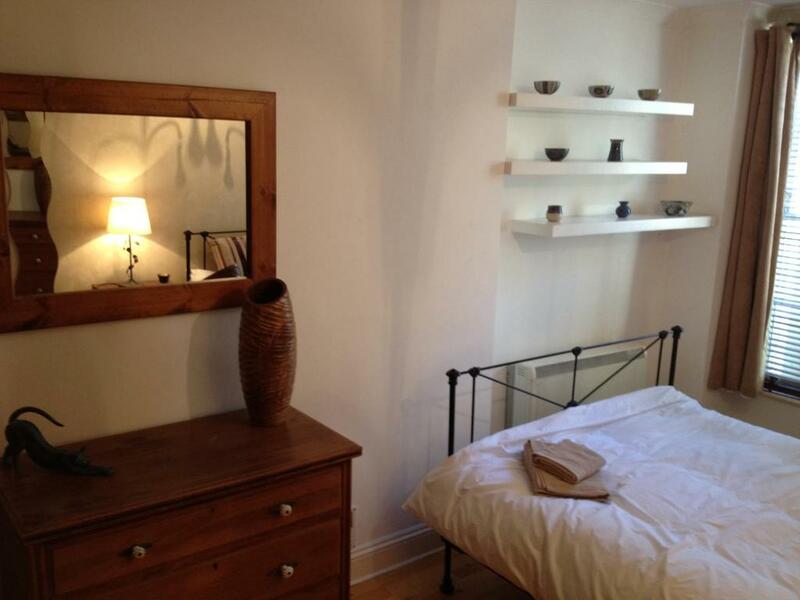 Walking distance to nearby bars and restaurants and into Bath city shopping district. Handy convenience store nearby. Able to walk to some attractions such as the Royal Circuit and the Crescent. The apartment was in a great location for seeing Bath, close to the Assembly Rooms, Royal Crescent, The Circus and the Bath at Work Museum and everything else within walking distance too. Very comfortable and the complimentary prosecco, chocolates and pint of milk was a lovely thought. A parking permit too meant we could park nearby. A lovely garden too with seating. A charming walled garden. Quiet, despite being close to the main road. Great location, near town, comfy bed, nice outlook with garden and park, traditional features, complimentary milk, chocolates, Prosecco and toiletries. Good communication from owners. Parking permit provided, books and dvds in lounge. 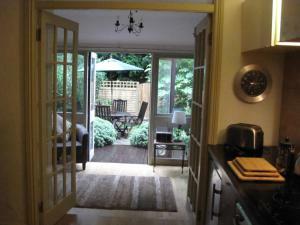 Ideal location close to town. Parking space very close by. Very clean and welcomed with champagne and chocolates thank you. Will definitely book again for next year. Lock in a great price for Belvedere Villas – rated 8.9 by recent guests! 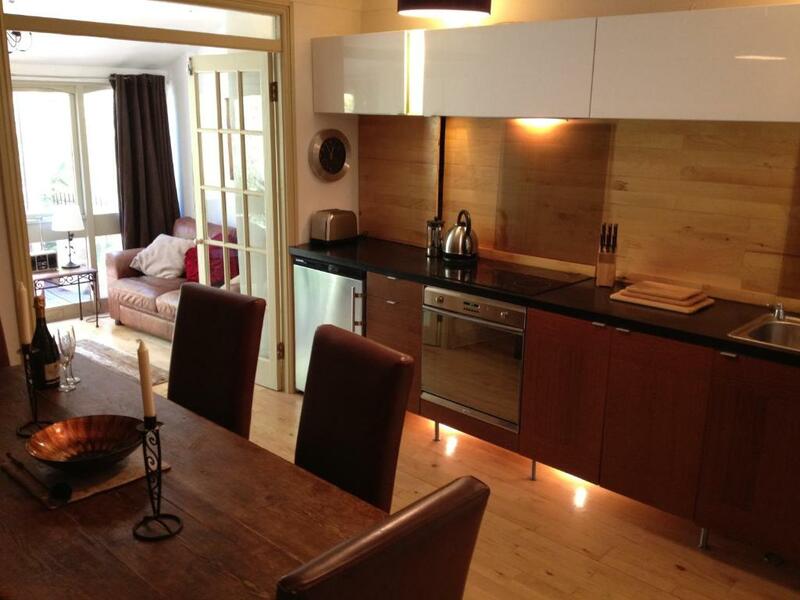 One of our top picks in Bath.Located in Bath, Belvedere Villas offers a self-catering apartment with a patio and free WiFi access throughout. 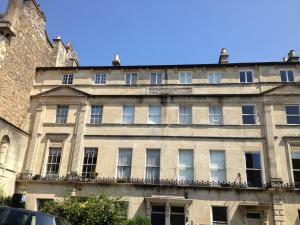 The property lies 1,300 feet from Royal Crescent and 1,650 feet from The Circus Bath. The apartment features a furnished patio and a living room with a flat-screen TV, a DVD player and an iPod docking station, as well as a fully equipped kitchen with an outdoor and indoor dining area. It has a bathroom with a bathtub and a hairdryer, and a washing machine and ironing facilities are also available. Guests can cook in the apartment's kitchen and enjoy meals on the outdoor terrace. An array of cafés, restaurants and supermarkets is located within a 10-minute walk from the accommodations. 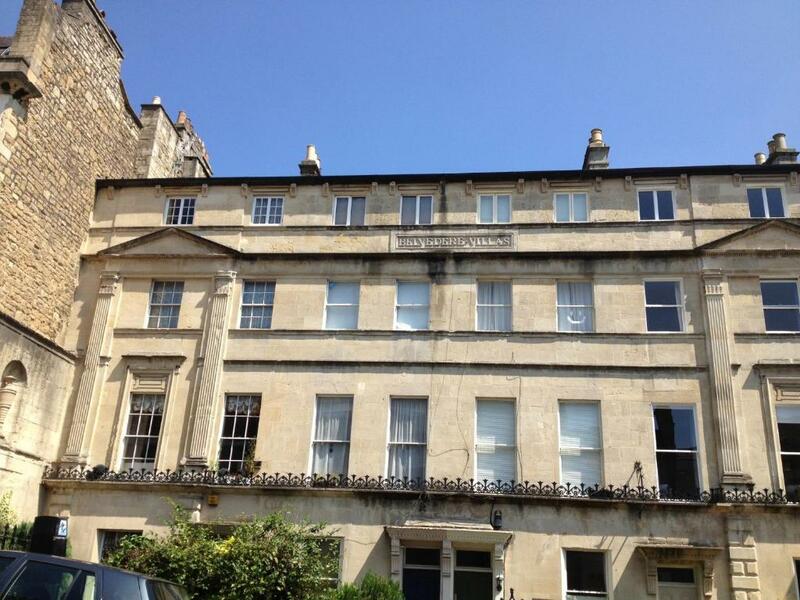 The property provides guests with a parking permit covering Bath's city center. 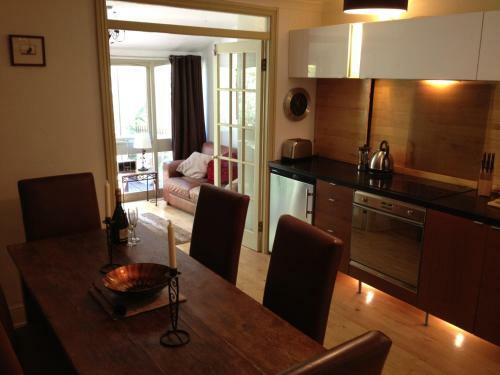 Pulteney Bridge and Bath Abbey are within 2,300 feet from Belvedere Villas. Bristol Airport is located 15 mi away. When would you like to stay at Belvedere Villas? House Rules Belvedere Villas takes special requests – add in the next step! Belvedere Villas accepts these cards and reserves the right to temporarily hold an amount prior to arrival. Unfortunately could not get oven to work or locate microwave. For some reason could not connect to wifi even though it was available. No coffee - nice tea bags though. Minor things really that might help the owners & future guests... Could do with some fresh kitchen utensils as they're a bit past their best. Also the guide left in the apartment stated there would be coffee and there wasn't any which was a bummer in the morning! Also it took us a while to find out why the cooker wouldn't turn on, but there is a wall switch hidden behind a glass panel among the head height units that needed switching on first. This wasn't described in the apartment guide so adding that would be helpful. There was no hot water the first evening and morning. After a series of phone calls, the problem was rectified by the owner. Street parking was hard, very busy traffic, but hey it’s city centre. Microwave would have been helpful? Bathroom could of had a little better finish around edges. Bathroom could do with upgrading but not an issue. Excellent location for exploring Bath and great facilities. Hosts were really helpful. loved the outside space but sadly too cold to enjoy it! Lovely touch of bubbles and chocolates waiting for you, not so sure that was great for the diet, but plenty of walking up and down the road soon burns those calories off! The apartment was really lovely. We had a welcome gift of bubbly and chocolates which was a real treat. It was pouring down with rain when we were there so didn't use the garden so would like to return in the summer. The location is perfect! The apartment was perfect had everything we needed and was lovely and clean. Although close to town, it was via a steep hill, so not much good for anyone with mobility issues. Although parking was free it was hard to find a space. The bathroom / bath could have been a lot cleaner, with visible signs of mould / discolouration. Nice apartment. 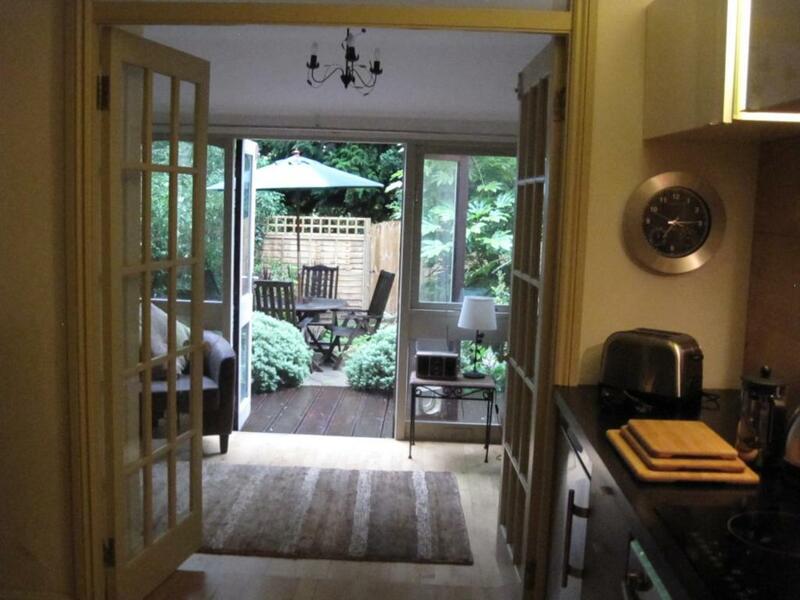 Centrally located (8 mins from town). Excellent communication from owner / agent. 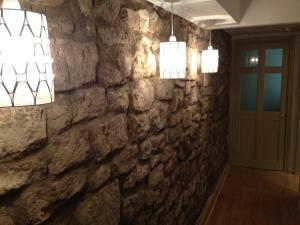 Fantastic pubs and restaurants within a short walking distance. Free parking with pass.